A Microcontroller Based Hand Held metal detector -Model 101 AY is a carefully designed device ideal for detecting metal on HUMAN BODY and an OBJECT for security purpose. it is designed and manufactured as per related I.S. (Indian standard) its design is such that it dose not affect an implanted PACEMAKER Due to its ultra high sensitivity it is an ideal detector for jewelry and precious metal industries. Battery charger is built-in so its handling becomes very easy. Buzzer sound while detection as per volume of metal. Samarth an ISO 9001:2008 certified company synonymous with Electronic Security Equipments since its inception; a pioneering leader in the management and application of Security and Safety projects. Today, we are India's leading firm in innovation of Metal Detector Technology, extensively engaged in Designing, Manufacturing and Marketing High Technology Security Surveillance products and services related to providing Security Solutions and executing turnkey projects. The company is customer centric in its focus and one of the single largest sources for a wide variety of security products. Also, the company is emerging as the first choice global supplier for high quality security equipments. We Samarth, are awarded with Consultancy Service for Procurement of Security Equipments by MSRDC – Bandra Infrastructure Projects India. The company is organized into three business groups viz. Design & Manufacturing Security equipments. Training of Security equipments & Counter Measures against threats. Apart from above, Samarth exports it's products to Southeast Asian and African countries, which includes the emerging South-East Asian and African markets. Thus, the company addresses all segments of Security industry from complex industrial Security solutions to corporate security requirements. 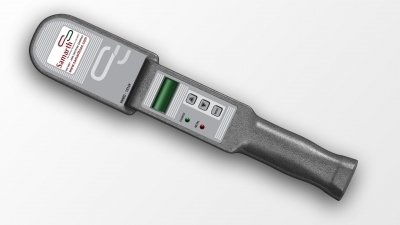 The Metal Detector Technology is having an International Patent Registration for its unique design; and recognized amongst the country's leading brands. We designs and manufacture these devices as per BIS, IS and NIJ -602.01 specifications with the help of our in house R & D. We are capable of developing new products & features to meet the requirements of End user. Continuous improvement is the practice here, where quality conscious concerning for raw materials and processes to ensure supply of quality products and service to its customer.